Benefits of Restorative Yoga: From a personal perspective, what inspired me to teach it. 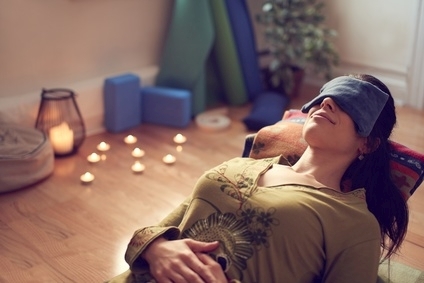 Restorative Yoga is a deeply relaxing and healing yoga practice that equally calms body and mind. It is the corrective practice for our modern lifestyle that tends to be go-go-go and stopping is more like collapsing in front of the tele, rather than consciously rejuvenating. However, these insights didn’t come to me easily. In fact, my life before yoga and in the first years of Yoga was oriented towards strong, adrenaline-producing activities like mountain-biking, trail-running and rock-climbing. In the beginning, yoga was just a means for me to stretch my tight muscles. And then I broke my hip in a cycling accident (one of many injuries): But this is when I first discovered that while I couldn’t do much else, I could still practice yoga – albeit highly modified. But it was exactly those modifications (support through bolsters, blankets and blocks and relaxed, longer stays in the posture) that allowed me to progress the healing from the inside out. There are so many studies now that document the healing power of the mind and while meditation is certainly one of the best practices to initiate healing on a deep level. However, for those who are in chronic pain, have difficulty stilling their mind and are in need of physical recovery to calm the fast tracked mind, Restorative Yoga is a great way to let the cells of the body heal through slower breathing and a reduced heart-rate. Experiencing first-hand how beneficial Restorative Yoga was for my recovery, I felt compelled to share the practice in my studio. Evelyn is the Principal Teacher and co-Founder of Yogita Yoga with a focus on bringing the benefits of yoga to the wider community. She has practiced yoga since 2007 and teaching since 2011 after completing her initial teacher training in India with Noah McKenna (Sukhashanti Yoga). 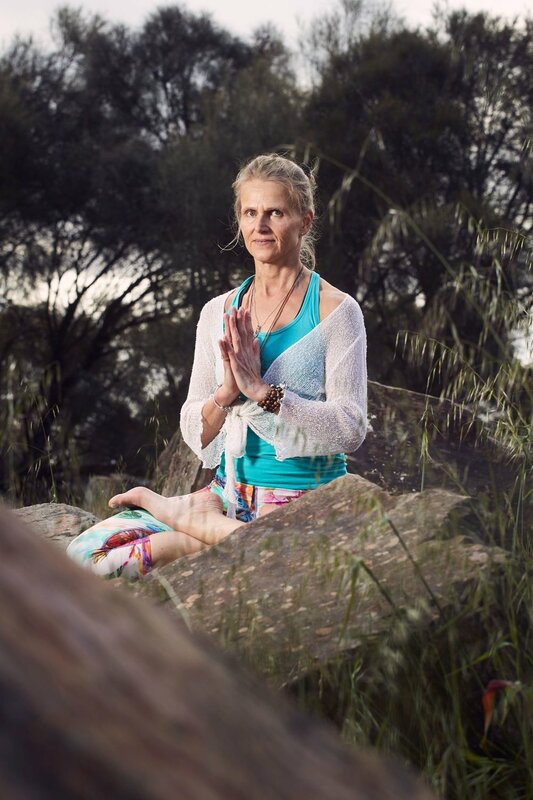 Living a physically active life through her passions for rock-climbing, running and cycling her first interaction with yoga was centred on practicing asana. Her practice quickly evolved beyond asana to focus on learning, practicing and teaching the 8 Limbs of Yoga for its therapeutic benefits. Through the inspiration of her teachers, her style of teaching is tailored to the individual and her classes allow students to progress further as well as helping those starting on their yoga journey to develop the correct foundations. Evelyn continues to pursue her yoga studies from a number of master teachers, to enhance her ability to individually assist each yoga aspirant.